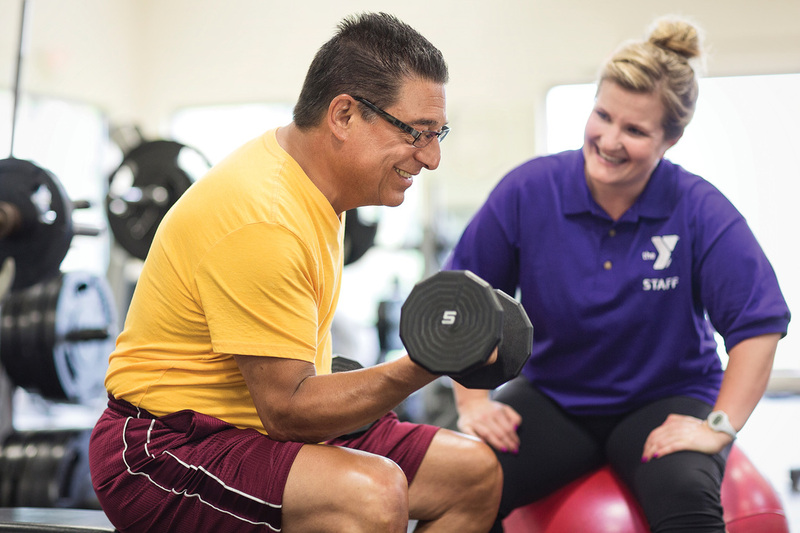 At the YMCA of Glendale, our Personal Trainers will help you get the most out of your workouts and help you reach your fitness goals! We understand that no two people are the same, and we make sure that we connect you with the best personal trainer for your individual goals! Victoria Genisce is a ACE Personal Trainer & AFAA/NASM Group Fitness Instructor who specializes in Cardio Dance/Pilates, Strength, Resistance & Endurance Training. She is CPR & Lifeguard Certified from Red Cross and also provides specialized training in Weight Lifting for Competition, Obstacle Course Events (i.e.Tough Mudders &...) Senior Fitness and Therapy Programs through Arthritis Foundation Programs, Multiple Sclerosis, Osteoporosis, Parkinson's Disease. Matthew graduated from Samra University of Oriental Medicine with a Master of Science Degree in 1998. He is a licensed acupuncturist in the state of California and has been involved with weight training for over 20 years, and has been a certified YMCA Strength Trainer for over 10 years. He has created a circuit training method which promotes weight loss, flexibility and endurance in a manner which is safe and easy on the joints and muscles. Matthew has extensive knowledge in the field of nutrition, vitamins and sports supplements. His well-rounded approach gets maximum results in minimum time. Betsy has a B.S. in Biology and over 10 years experience training people of all ages to improve their cardiovascular fitness, strength, body weight, energy, as well as the alleviation of many musculoskeletal aches and pains. She is certified by the YMCA, American College of Sports Medicine (ACSM), American Council on Exercise (ACE), and UCLA Extension Fitness Instructor Certification Program. Fernando has 15 years of experience in professional baseball, is a culinary academy graduate with experience as a chef, and has completed nutrition courses, all of which are an essential combination to the world of fitness. With his experience he can help with physical therapy, nutritional coaching and any personal fitness goals you may have. Food, nutrition and exercise are his passion and the key to a healthy lifestyle. WIT Training Schools, ServSafe Certified.